"An exquisitely taut and intense debut thriller." Maureen Corrigan, "The Washington Post"
"Surprise-filled . . .A psychological-suspense work fit to hold its own with many recent best-sellers." "The Wall Street Journal"
I couldn't stop. It's like"Broadchurch"written byElena Ferrante. Claire Messud, author of"The Woman Upstairs"
Stunned and adrift, Nora finds she can t return to her former life. An unsolved assault in the past has shaken her faith in the police, and she can t trust them to find her sister's killer. Haunted by the murder and the secrets that surround it, Nora is under the harrow: distressed and in danger. As Nora's fear turns to obsession, she becomes as unrecognizable as the sister her investigation uncovers. A riveting psychological thriller and a haunting exploration of the fierce love between two sisters, the distortions of grief, and the terrifying power of the past, "Under the Harrow" marks the debut of an extraordinary new writer. Flynn Berry is a graduate of the Michener Center for Writers and has been awarded a Yaddo residency. 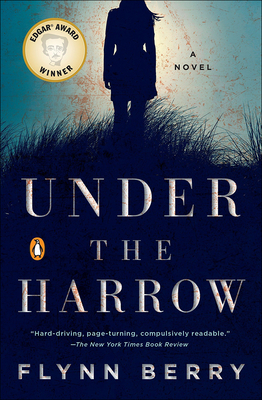 "Under the Harrow "is her first novel.